Most importantly we are pleased to let you know that we have SALSA Accreditation. We supply wholesale direct, we do not use a distributor. This ensures that we can guarantee the shop down the road will not be offering our product as well. Most deliveries are done by myself, we pride ourselves on giving our customers a top class and personal service to compliment our product. 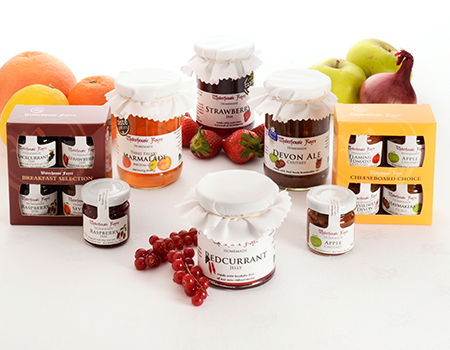 All jams, chutneys and marmalades shown on our product pages are supplied in 340g jars, our jellies come in 277g jars. 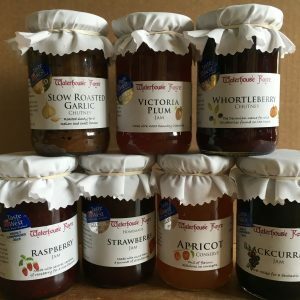 This year I have introduced a small selection of our jams and chutneys in 120g jars which are ideal for a small hamper. Please see our on-line shop for details of the range or Ann Stallard on 01884 842640 or 07527 008046 or email info@waterhousefayre.co.uk for a hardcopy list and details of our pricing. 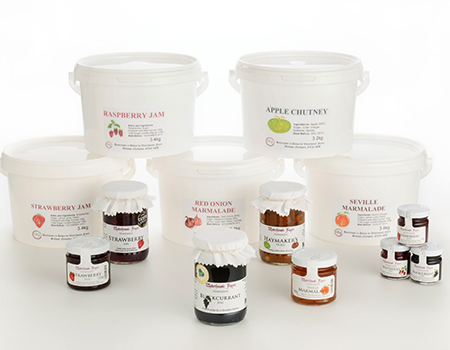 We do not offer all of our range in catering tubs but certainly the most popular and are always willing to consider adding to this range. Catering tubs are 3.4kg in size. We now offer our ‘cream tea’ size jar which is 45g. This has proved extremely popular with establishments offering self-service cream teas. This size pot is an individual size, plenty to eat with two scones. 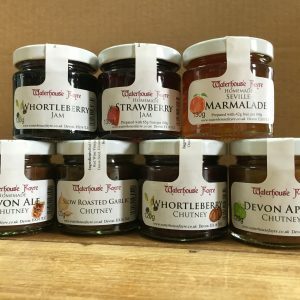 Available ex-stock is our award winning Strawberry, Raspberry and Blackcurrant jams together with our Devon Apple Chutney. 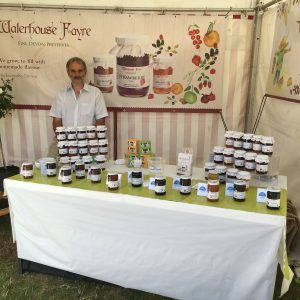 Please contact Ann Stallard on 01884 842640 or 07527 008046 or email info@waterhousefayre.co.uk for a full and up to date list of our Catering Range and for prices.